Archives for September 2018 | Dental Practices Services, Inc.
People enjoy having flexibility in their schedules. This is especially true when it comes time to make a visit to the dentist. However, when an insurance company takes that flexibility away, many people are left unsatisfied with their dental coverage plan. This is where implementing the Private Dental PlanTM into your office can help increase your patient numbers and keep them loyal. The purpose of the Private Dental PlanTM is to help patients receive immediate and personalized dental service through a self-administered program by the dentist. This program eliminates all third-party involvement and allows the dentist to keep the earnings that are usually paid to insurance companies. The Private Dental PlanTM also gives patients the flexibility they want and need in their dental coverage. By providing your patients with affordable dental coverage, they receive more quality care for their money and prefer working with you rather than an insurance company. Set up a custom plan based on your services and desired plan layout and process an actuarial evaluation of membership fees. Provide marketing material including customized brochures and applications with digital versions for online use. Train your staff on how to administer your plan and provide ongoing situational support. 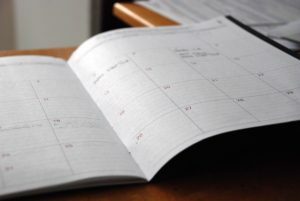 Perform a monthly plan report involving profits and membership activity. Upon setting up your In-house dental plan, we are considered an “extension of the dental staff” and look for a long-term relationship with your dental office. If you would like more information on the Private Dental PlanTM solution or to learn more about our services, contact our office today at (913) 851-3039 or visit us online. 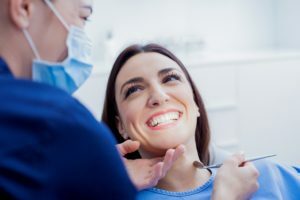 When dental insurance prices increased, and employers stopped offering dental coverage to their employees, there was a major need for a different type of dental plan. Insurance companies began asking for high premiums or rejecting claims altogether leaving many people with high expenses or no dental coverage at all. This is what inspired Dental Practice Services, Inc to offer our own private dental plan with the help of an alliance of dentists across the Kansas City metro area. What is the American Dental Alliance? The American Dental Alliance is a group of more than 120 dentists who provide affordable dental care without 3rd party intervention. This alliance strives to enhance the doctor/patient relationship through accessible dental coverage that benefits them both. The Alliance was formed to provide dental plans with good discounts and fees that are reasonably priced in the marketplace. General dentists wanted to expand their advertising dollar by forming a cooperative that would measure the dentist’s ability, not by an insurance industry’s standard. This group strives to provide dental care for anyone in the Kansas City area with a focus on people who are self-employed, retired, or small business owners that need a better dental coverage option. What is The Private Dental PlanTM? Our mission statement is to help dentists enhance their doctor/patient relationship by allowing patients to receive dental coverage without the hassle of dealing with an insurance company. We stick to this mission to provide affordable dental care to patients and allow doctors to receive a fair compensation for their work. If you are interested in implementing the Private Dental PlanTM into your office, or in joining the American Dental Alliance, contact our office today.